To plant a tree in memory of James Roberts Barbour, please visit our Heartfelt Sympathies Store. Dan, Amy and family, I was very saddened to hear about your father's passing. Jim was one of my favorite guys in the industry, one of the first people I can remember meeting. He was always so welcoming, friendly and cheerful, and always remembered who I was. Jim is going to be sorely missed. You all will be in my prayers and thoughts during this challenging time. Sending our thoughts and prayers to you all during this difficult time. Your Dad will be greatly missed as he was a wonderful friend and neighbor at the lake. With our deepest sympathy and respect from the Easi-Set and Smith-Midland Family. May God comfort you all during this difficult time. Our company grieves the loss of a great man and an even greater spokesman for precast industry. Our family and team members send our condolences to the Jim Barbour family with the loss of one of our industry leaders. 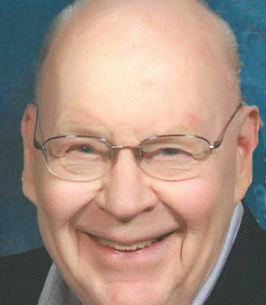 - Lee's Precast Concrete, Inc.
Our family and employees send our condolences to the Jim Barbour family with the loss of one of our industry leaders and friend for many years past - E.C. Babbert, Inc.